A GFI (ground fault interrupter) or GFCI (ground fault circuit interrupter) device is something you should have in your electrical system at home. Why? Because it will protect you and other dwellers in your home from electrical shocks. To describe it simply, a GFI device can detect if an electrical current has flown unintentionally through an unsuitable path (for example, through a person or a body of water). Once the GFI detects this, it will cut off the power circuit. GFI devices are indeed lifesavers. However, many homeowners still do not have GFI devices installed in their households. The National Electrical Code is requiring householders to have GFI devices installed especially in areas where there’s water and electricity (e.g., kitchens, bathrooms, garages). 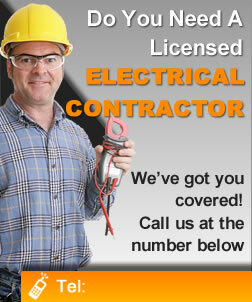 Why is it important to hire only the best and trusted electricians when it comes to GFI installation? It’s because an improperly installed GFI device won’t serve its purpose and may even put you at greater risk of electrical shocks. You simply can’t settle for less when choosing a service provider for this type of job. If you are one of these homeowners without a GFI device at home, it is definitely time to call a trusted Columbus, Ohio electrician who specialize in GFI installation. Or, maybe you do have GFI devices already but are not sure how to check for it. Probably, your devices need to be repaired or replaced. It’s always best to ask the assistance of a trusted and licensed electrician in Columbus, Ohio to have your electrical system checked up to make sure you have well-functioning GFI devices. Once you have your GFI devices set-up, it is advisable to have them checked every month simply by pushing the “test” button that comes with the device. Whether its’s GFI repair, replacement, or installation, you are assured of our dependable work and highly reliable output.